On May 23, 2017, an armed-conflict erupted in Marawi City, Southern Philippines resulting in the displacement of thousands of people including children. The war lasted for five months. The city was destroyed and families lost homes. Some even lost their loved ones. 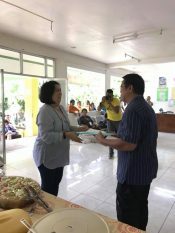 During this time, the Church of the Nazarene has been responding to the call of Christ to help and comfort the needy. West Mindanao District Church of the Nazarene, led by District Superintendent Dan Balayo and Field Strategy Coordinator for Philippine Micronesia Field Stephen Gualberto partnered with different organizations and conducted Child Friendly Spaces in four evacuation centers, held medical and dental check-ups, distributed medicines and crisis care kits to hundreds of displaced families. The work did not stop there. 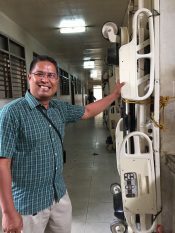 Last June 2017, during the Church of the Nazarene General Assembly, DS Dan Balayo and Stephen Gualberto met with representatives from Nazarene Compassionate Ministries-Canada to arrange shipment of medical equipment for government hospitals in Mindanao that serve internally displaced people from Marawi City. 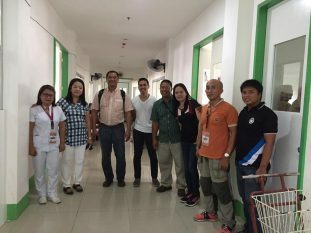 NCM-Canada responded to the call and sent a 45-foot container of medical equipment and supplies to Mindanao. On September 22, 2017 these equipment and supplies were turned over to two government hospitals. 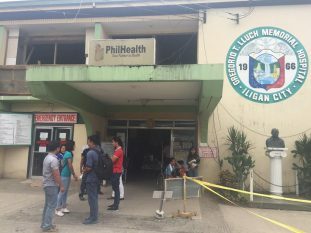 The first hospital is Gregorio Lluch Memorial Hospital in Iligan City. 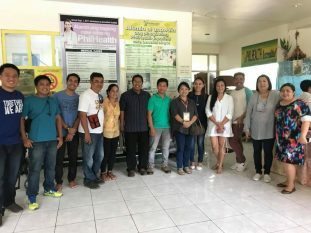 Iligan City is the closest city from Marawi that provided immediate medical needs for the evacuees. Thousands of people sought help and refuge in this town during the crisis. The hospital received 30 hospital beds, wheel chairs, walkers, crutches and various medical supplies, hospital linens, first aid kits, scrub suits, orthopedic shoes and portable oxygen tanks. 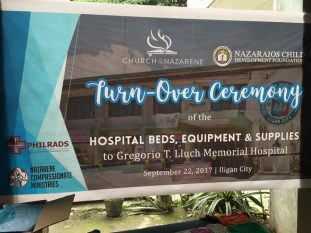 Representatives from the city government and the hospital administrator were present to receive the equipment and to express their gratitude and appreciation to the Church of the Nazarene and to the Lord Almighty. 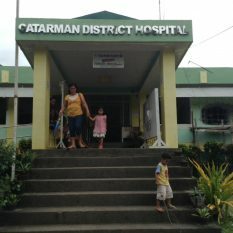 The second recipient of the medical equipment is the Catarman District Hospital in the province of Camiguin in Mindanao. 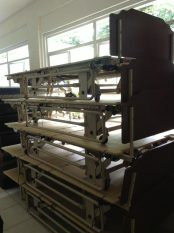 Ten hospital beds and other medical equipment were given to help augment the needs of this government hospital. They serve a lot people in the province and rural areas with limited resources and the church saw the need to help them in this area. The Provincial Governor was present during the turn over and was greatly delighted and grateful for the church’s generosity and compassion of the Church of the Nazarene for the welfare of their people. Truly, God is moving. The church is alive – serving as the hands of feet of Jesus to those in need. Pray for West Mindanao District, and the local church in Iligan City they continue to respond, minister, care and show love to the people in Southern Philippines. Pray for the people of Marawi that they will be resilient and strong as they rebuild their homes and their lives. Pray for the Philippine-Micronesia field as they strategize, mobilize and assist the districts in responding to different challenges in the Philippines.